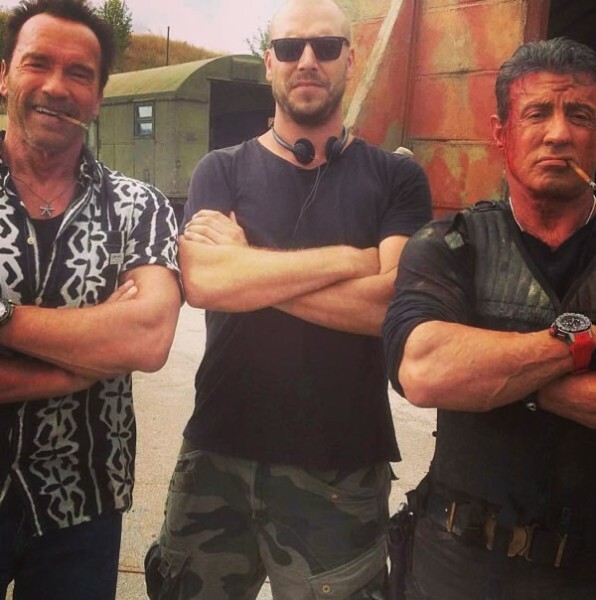 Arnold Schwarzenegger’s been giving his Instagram followers and Expendables fans some real gems to drool over lately. 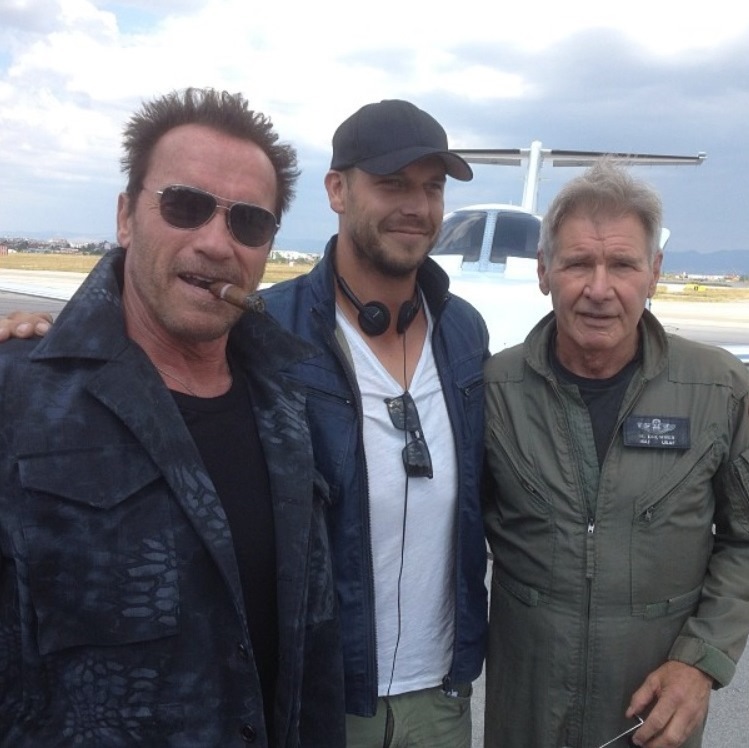 First he sent out the above photo of himself hanging out with co-star and Bruce Willis replacement Harrison Ford and Expendables 3 director Patrick Hughes. Then he revealed the below one of himself, Hughes and Sylvester Stallone in his team gear.